Get your Toyota ready - We buy your junk vehicle! Our sole purpose is to make your life easier when it comes to disposing an old car. Our process is very simple and all you have to do is give us a call and we will come to you and assess your vehicle to give you an appropriate estimate. Even better, we will take your Toyota in any condition so you don’t have to worry about that aspect. We are a credible Toyota wreckers in Auckland, focusing on giving our customers a delightful experience and good deals on their cars. Toyota has had a good reputation of being reliable, but sometimes they do break-down and get to a point where the cost to repair outweighs the actual cost of the vehicle. This is when you need a professional car removal company to remove the car. Cash4cars Company will remove your car for free, no matter the model of Toyota you have, we take Sedans, Utes, 4WD’s, Trucks, you name it and we will buy it from you. Our customers who have us remove their Toyota’s do get up-to $15,000 in cold hard cash. Our professionals analyse the condition of the car and tell you the desired price quote. What we serve is in sync with the requisites of your car. 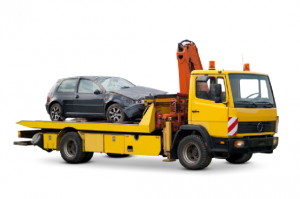 Just hand your salvage car to us and we will pay cash to you. With a good 10+ years of experience, Cash4cars Company is committed to providing you the relevant, safe, and quality car selling services. So, why to throw your favourite car in vain? Just come to us. We will buy it and reduce your headache of managing your junk car. Contact Us on 0800 100 743 and we will get your car sorted! Welcome to Cash4cars Company. We pay top dollar for unwanted vehicles, dead or alive. The Cash4cars Company is proudly 100% NZ owned and operated.